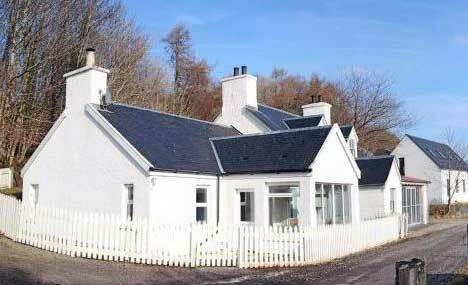 Set in the beautiful location of Aros Bridge on the Isle of Mull, Riverside Cottage is the perfect choice for couples or small families. Beautifully maintained throughout, the cottage accommodates up to 4 people in one double bedroom with a kingsize bed and a twin room. The living accommodation is modern and open plan, with wooden flooring throughout and includes a living area with log burner, kitchen area plus a sunroom to the front with wonderful views to the river. The cottage has its own private garden which forms the riverbank to the River Aros with seating for guests to relax and take in views of the old Aros Bridge. Rentals are from Friday to Friday during April to October. Short breaks are available November to March.